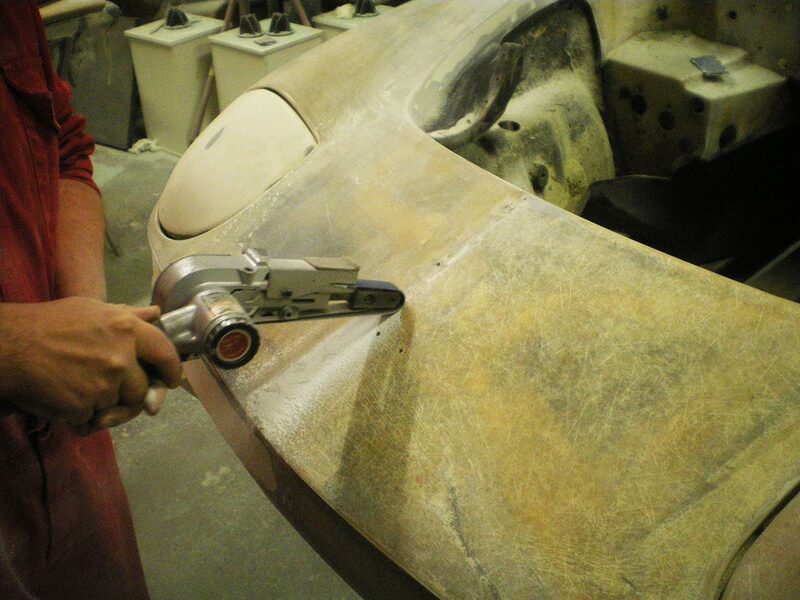 GRP or Fibreglass has been used in the construction of motor cars, motor cycles, boats and aircraft for many years. It’s strength, weight and versatility has made it a favourite with sports and race car manufacturers in particular. 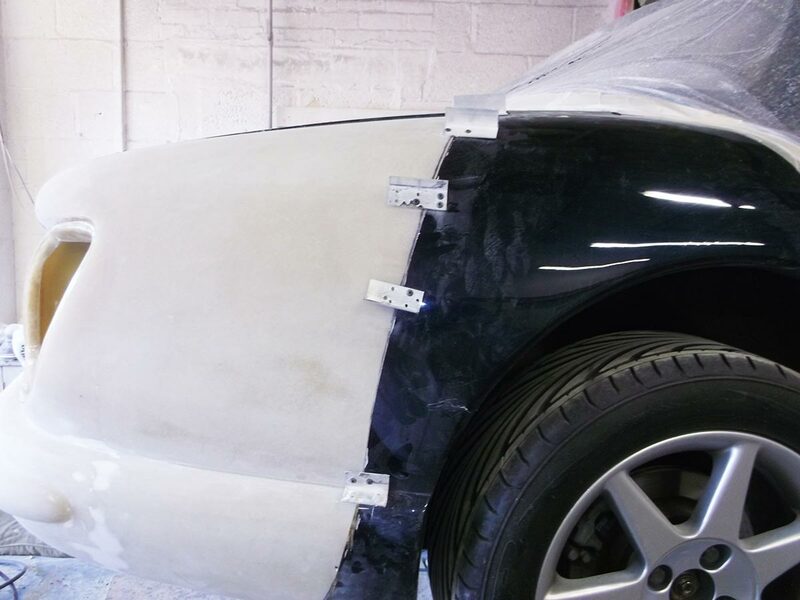 The method of construction of a fibreglass panel or body shell may appear relatively simple to master but in reality it requires a high degree of skill and understanding of the properties of the materials used to produce a product of good quality. Many body shops will claim to be able to repair fibreglass cars. However, well informed body shops will often turn away this type of work as the method of repair if performed correctly are completely different to that of a steel car. 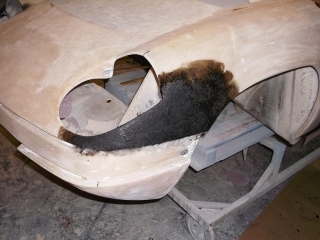 If a fibreglass repair is done poorly, it is inevitable that this will become apparent after a relatively short time. The vehicle may have to be returned to the body shop for rectification, sometimes several times causing financial cost and inconvenience to all concerned. 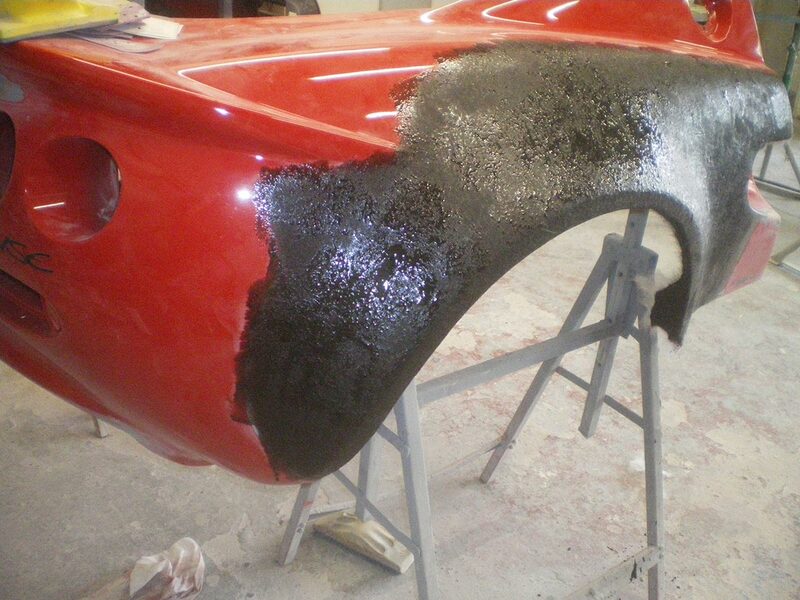 Option 1 has been a leading light in the art of composite repair and fabrication for many years. 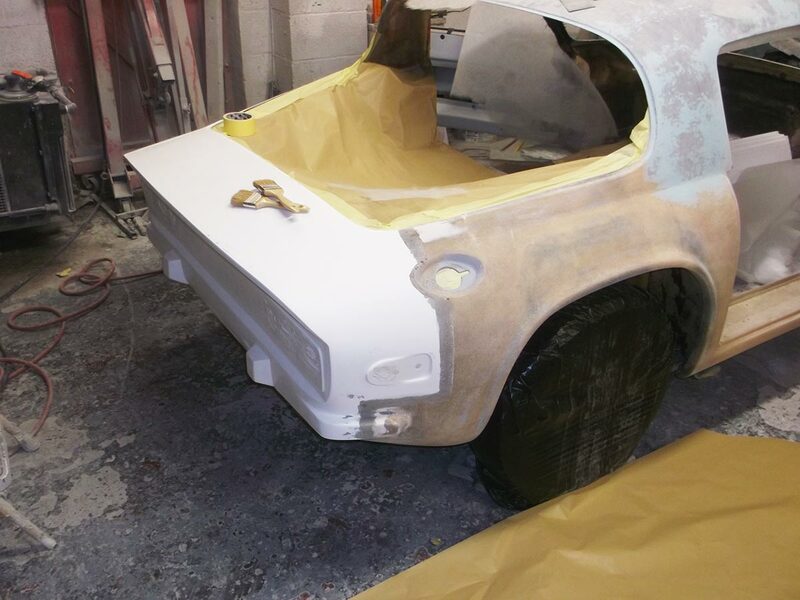 We have developed and refined our skills to enable us to specialise in the repair and restoration of the fibreglass vehicles. There are basically two types of fibreglass panels used within the motor industry. 1. Hand laid panels – the traditional method of construction. 2. Machine of injection moulded panels – an initially expensive but less time consuming, high volume method of production. Most pre- 1980 vehicles were hand laid in production. Although some are still manufactured in this way today. Injection moulded panels are common on contemporary vehicles. Lotus, Renault, Citroen, Chrysler and many other high volume manufacturers use panels or body shells with this type of construction. There are advantages and disadvantages to both types but it is vital that the repairer knows which type they are dealing with as the method of repair and material used differ greatly. Option 1 had been a Lotus and TVR body repair specialist for many years and has vast experience of vehicles dated from the late 1950s to the present day. We are familiar with all types of GRP construction and repair techniques. We have our own moulds for the manufacture of repair and replacement panels for many TVR and Lotus models. If a mould or panel for any GRP vehicle is unobtainable we will fabricate a new panel from scratch using CAD/carved foam/wire frame/wooden buck (and other) techniques. We use Manufacturer approved bonding techniques when panels are joined with the use of fibreglass. This includes glass to glass and glass to metal. Often this bond is stronger than the material itself. Unlike the vast majority of GRP repairers, we do not use car body filler to shape, fill, or profile a panel. 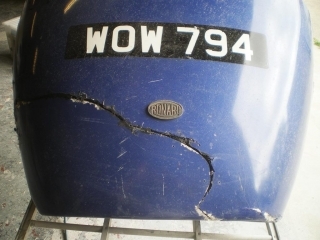 Many specialists (some well-known) claim that a break in a panel can be repaired by laminating the back of the panel with resin and fibreglass then repairing the outside with body filler. Or repairing both sides with resin and fibreglass, then using filler to re-shape and profile the panel. We strongly refute these methods. GRP expands and contracts slightly in differing heat and humidity conditions. 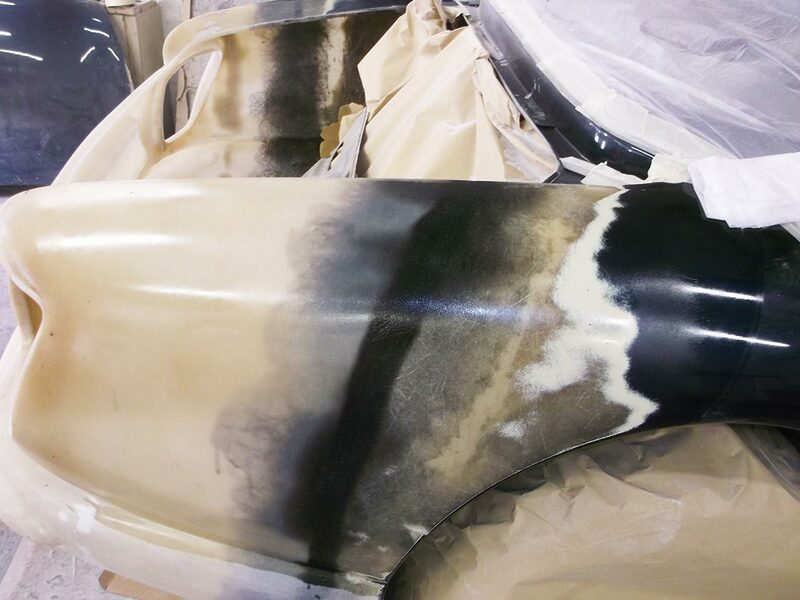 Body filler (basically resin and powder) does not, usually shrinking or contracting slightly over time, causing the repaired area to become more apparent at a later date. We maintain that a fibreglass panel should be repaired with the materials it was originally made of. Moreover, if the thickness and weight of the panel are re-instated then the repaired area will ‘move’ and flex as the rest of the panel. This is then a permanent repair. We are 100% confident that our repairs are as strong and durable as the original undamaged panel. 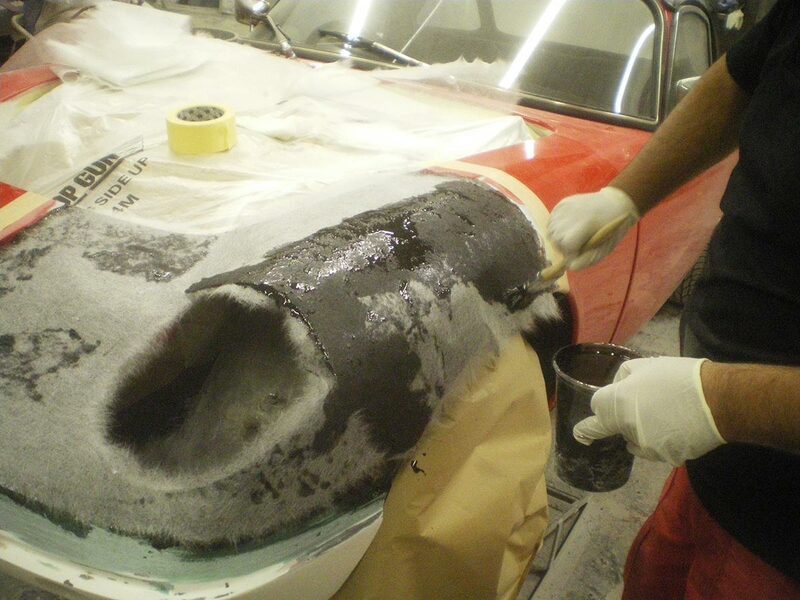 Please note: Osmosis and age related damage to fibreglass vehicles is explained and dealt with in our Restoration section of this website. Please view for details. Many high-performance vehicles are constructed from Carbon fibre. This is due to the significant weight reduction provided over steel or GRP while maintaining excellent rigidity. 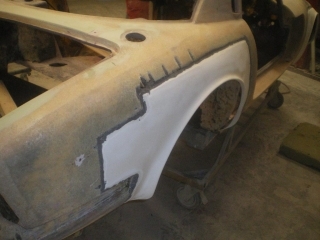 The methods of production of panels or body shells are entirely different to that of glass fibre and there are a myriad of methods of lay-up but repair processes can be quite similar in some cases, even though the materials used are not the same as those for GRP. The downside of carbon fibre is it’s relatively poor impact resistance. However strong and light, it is comparatively brittle compared with GRP. When impacted, the material tends to shatter as well as crack. As a result, a minor impact can compromise the strength of the entire panel. Often a replacement panel is the only permanent solution. Cosmetic damage; stone chips, scuffs, scratches and peeling lacquer present no problem to us to repair. 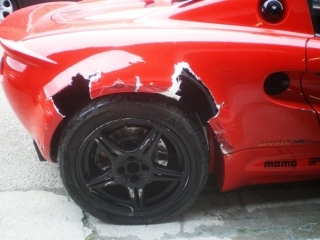 However, although we have successfully repaired and painted a large number of carbon fibre vehicles, we assess any impact damage very carefully and refuse to repair damage we consider to have compromised the entire panel’s structural integrity. We would then replace the panel and prepare and paint accordingly. All our repairs are fully guaranteed and we would never compromise the safety of our customers. All plastic is not made equal. Most plastics are identified by their abbreviated chemical names. PET, HDPE, PP, PS and many more. Each has it’s own properties and requires special attention if damaged. There are a huge variety of plastics used in the motor industry. We are often entrusted by insurance companies with repair to plastic parts that other body shops are unable to deal with, usually when these parts are unavailable to replace. Bumpers, mirror casings, spoilers, skirts and wheel arch mouldings are often some kind of plastic. We are aware of no single, permanent repair process that applies to all types of plastic parts. 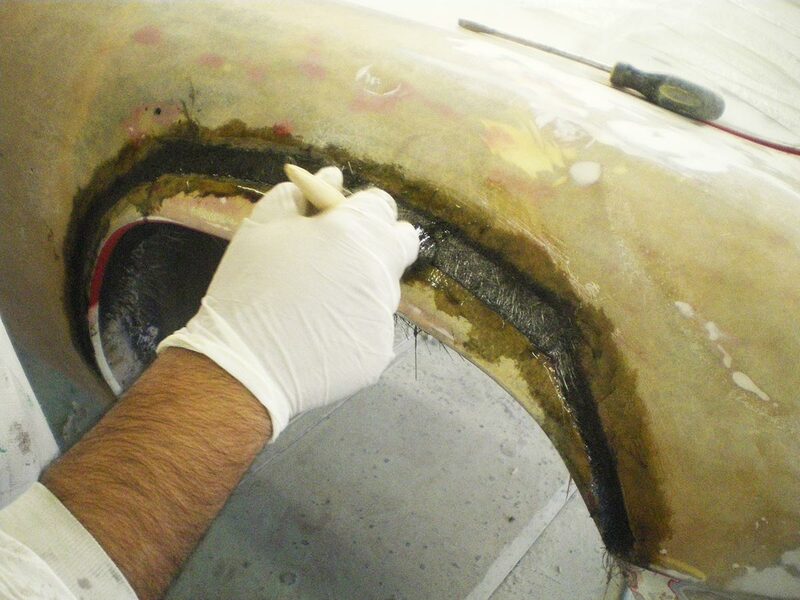 As a leading composite repair specialist, we have invested in various, state of the art systems of plastic repair including; Plastic welding, plastic fusion, stapling, mesh bonding and vital, flexible plastic painting materials. Often a plastic part can be expertly repaired for less than the cost of a replacement. Please contact us for details.